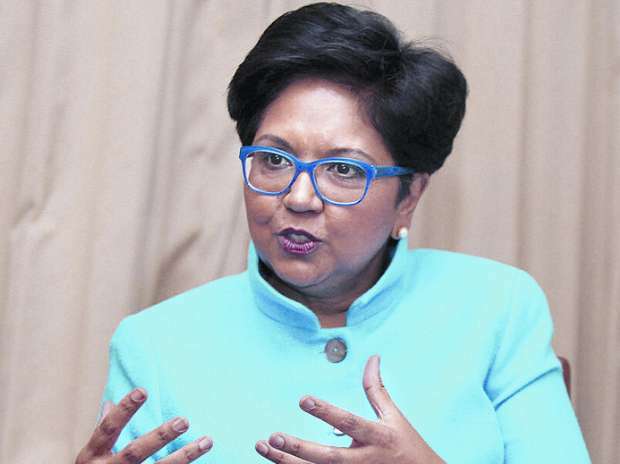 India has a huge potential and the real question is the speed of growth and how many roadblocks it is willing to remove, former PepsiCo chairperson Indra Nooyi has said. "It's been in different forms but it's always been there. Big companies just learn to power through." Nooyi said she has always said that "when you go into any country, you have got to act as though you are the citizen of that country. You can't go in there and say everything is going to be done my way. Except for the ethics and governance aspect, everything else is local. Nooyi, answering a question on where does she see a balance between online retail and brick and mortar, said "if there is a shakeout in retail, I won't blame it on Amazon. That's just retail getting efficient. Amazon is just improving the customer experience. The traditional retailer created a lot of friction in the system, and where there is friction, there is Amazon to take out the friction." During the fireside interaction, Nooyi said growing up in India, she was surrounded by a tight-knit and multi-generational family and every member of the family stepped into parenting and disciplining the young children. "That confidence that we all got, growing up, and that incredible sense of responsibility that education was important, listening to the elders was very important and striving to do better and better all the time and being held accountable for that made a profound difference to my life." She added that in many ways "I would say that my success today is the result of my childhood, my upbringing and India. All of that has had a profound impact on me."